Ever wonder where Chimay comes from? When I think about beer brewed by monks, I imagine dark, old buildings full of ancient brewing equipment, with a musty smell of old beer in the air. 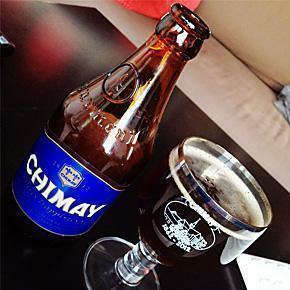 We recently travelled to Chimay to visit their brewery and to put my theory to the test. Boy, was I wrong! Chimay Brewery, one of seven Trappist breweries in Belgium, recently held a series of open days in celebration of their 150th anniversary. Trappist breweries are typically closed to visits, so when I heard about this event, I signed us up immediately. Each tour was limited to about 15 people and reservations disappeared quickly, despite the event being organized during working hours. Belgians are committed to their beer, I guess. Located in the Notre-Dame de Scourmont Abbey, Chimay Brewery is just outside the town of Chimay, two hours south of Brussels by car. Unfortunately it is not an easy place to get to without access to a vehicle. “Monks are somewhat isolationist,” was Alison’s, rather understated comment, as we were driving down a narrow road between farmer’s fields towards the abbey. 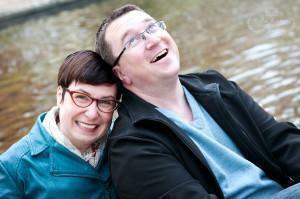 When we arrived, we checked in at the welcome tent and then took a quick stroll through the abbey’s gardens. 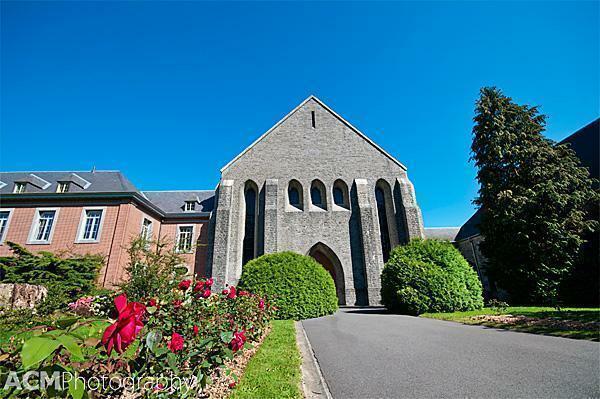 Notre-Dame de Scourmont Abbey was established in 1850 by 17 monks from Westvleteren. Westvleteren, in the northwest of Belgium, is home to the Abbey of Saint Sixtus whose monks brew one of the most difficult to buy, and arguably the best beer in the world. Suffice it to say, these 17 monks brought some beer making know-how from their original home. The central gardens and church of Notre-Dame de Scourmont Abbey are open to the public every day, including during the numerous daily services. One of the key features of the gardens is the various species of trees, including a huge sequoia, which dominates the grounds. Although our tour was not hosted by the monks themselves, it was led by a member of Chimay’s marketing team. The first stop on the tour included a short explanation of the main ingredients used in Chimay’s beer: water, hops, and two types of barley malt. 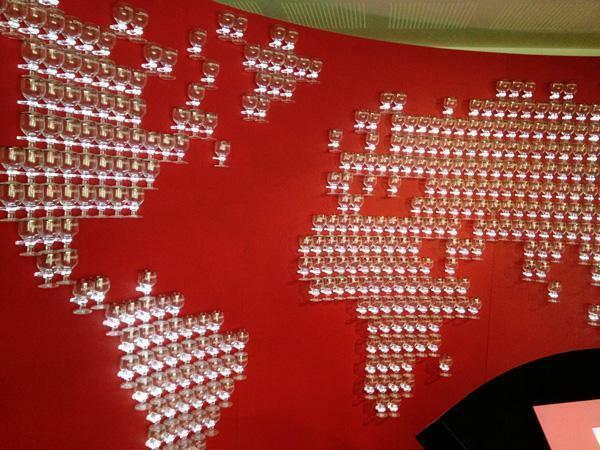 While the water is local, the other ingredients are sourced from elsewhere in Belgium. Next, I expected we would be stepping into a dark, old brewery. I was not expecting to walk into a high tech laboratory featuring various tools for analysing the chemical and biological make up of the beer. 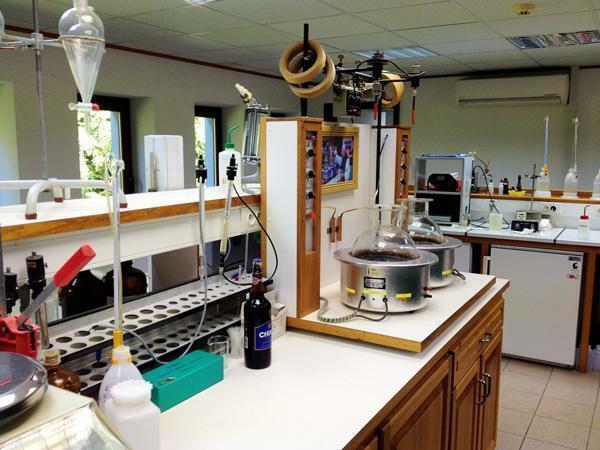 The lab also features the equipment used to grow the strain of yeast now used in each batch of Chimay beer. 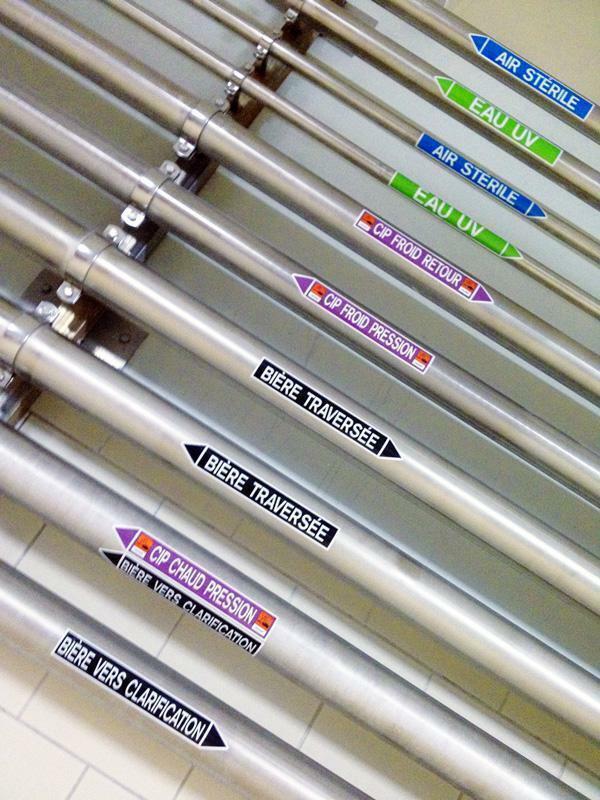 The tour continued through a very modern facility, complete with many stainless steel vats, pipes, kettles, and filters, tiled floors, metal walkways, and a computerized monitoring system. Everything in the production process has been recently upgraded and was quite the opposite of what I imagined. Of course, I should have known better. Chimay’s beers are enjoyed around the world, meaning they have to produce vast quantities, while also ensuring consistency and high quality. According to our guide, 50% of the production is exported, mainly to the US and China. Therefore volume and quality control are very important, necessitating an investment in equipment and facilities. However, even with the technology, it was interesting to hear they still have people who taste test each batch, ensuring it tastes right. Some beer experts complain Chimay has lost its way; that by expanding they are sacrificing the character of the beer for more money. I’m not an expert and don’t feel qualified to comment on the purity of the beer itself. However I do see the benefits this enterprise is bringing to their community and the world: employment, support for community projects, youth development, and more. This can’t be a bad thing. I like Chimay. I feel it serves as a ‘gateway’ to Belgian beer. Its quality and availability exposes the world to a beer with a character and taste that isn’t owned by one of the big brewers like AB InBev. It’s often the first beer I recommend to people new to Belgium or to Belgian beer. 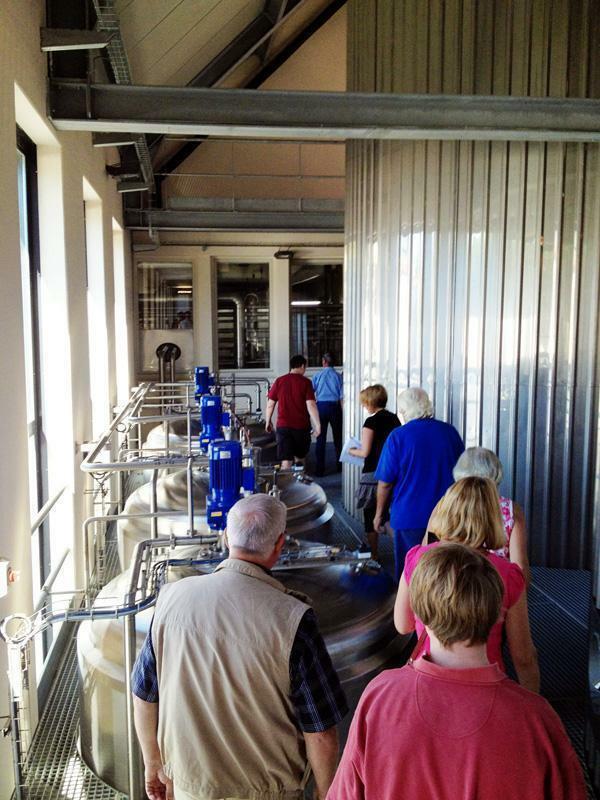 At the end of our tour, the biggest lesson I learned was not that they produce 50 million litres of beer a year. I learned that despite a reputation for being closed off from the world, these monks are doing a lot to give back to their community. In a time where business leaders talk about being good corporate citizens, maybe they should be looking at the monastic breweries for ideas. Unfortunately the tours of the facility are very rare. However, you can visit the Auberge de Chimay nearby. 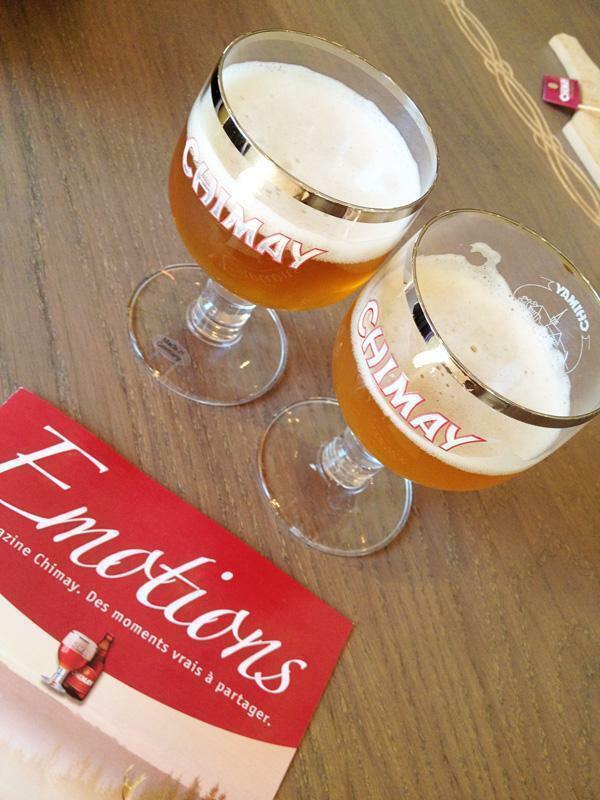 There you can sample the different types of beer, enjoy a meal, and browse the Chimay shop. 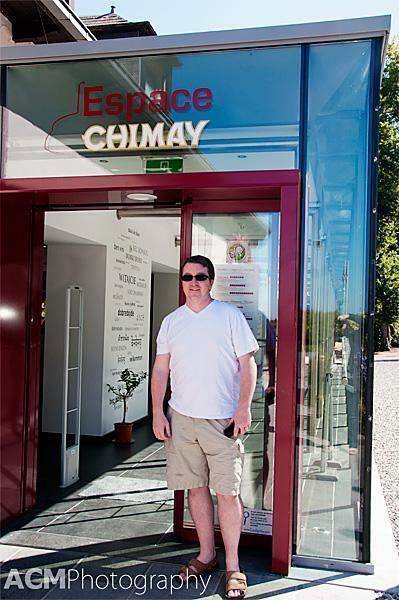 You can also visit the Espace Chimay which takes you through the history of the abbey and the beer. It is an interesting visit, but a bit expensive at €6.50 per person. Remember though, any profit they make goes back into the community. 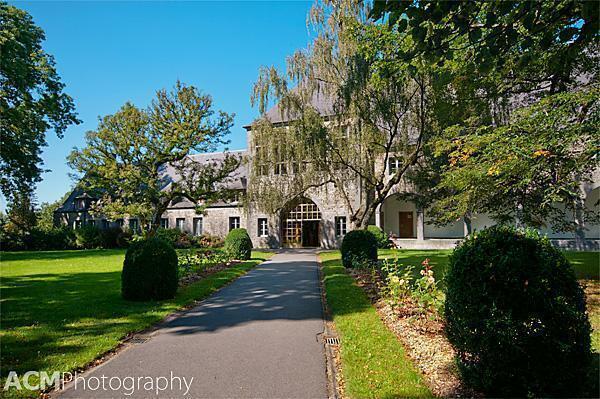 Have you visited a Trappist brewery? Share your impressions in the comments below.